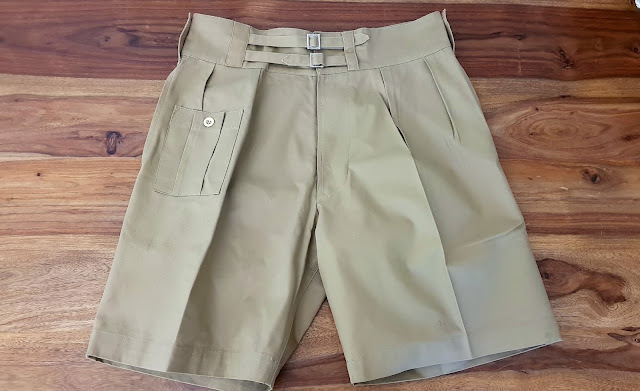 I've been looking for some proper Khaki Drill shorts for a while and couldn't decide between Gurhka Shorts and the British Army KD 1941 pattern shorts. 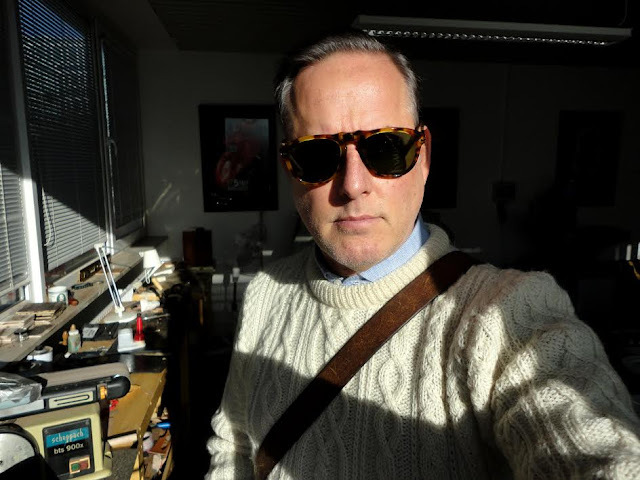 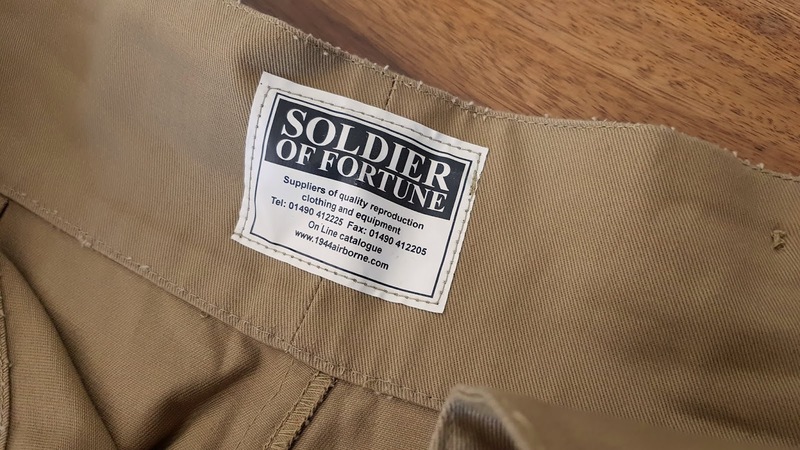 Ultimately, I decided on the KD 1941's from Soldier of Fortune UK largely due to the fact that the legs looked a bit narrower and I could buy them from within the EU, avoiding high shipping costs, customs duties and potentially a long trip to German Customs. 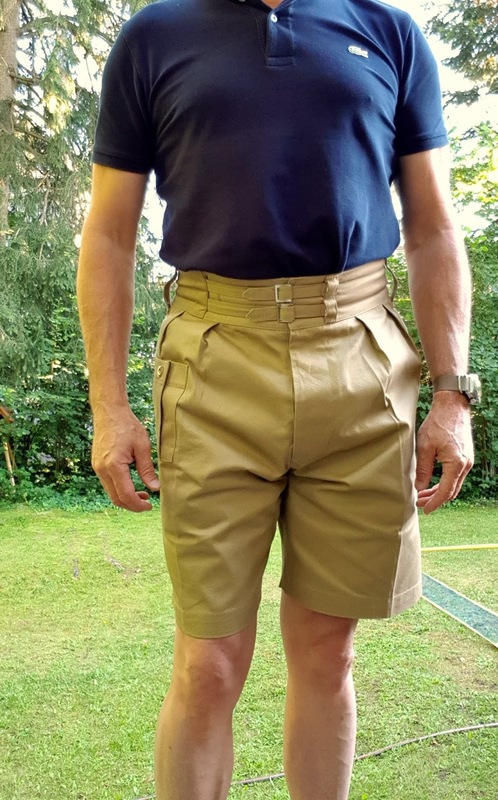 I will say that the legs on these turned out to be quite wide and necessitated a trip to my alterations tailor. 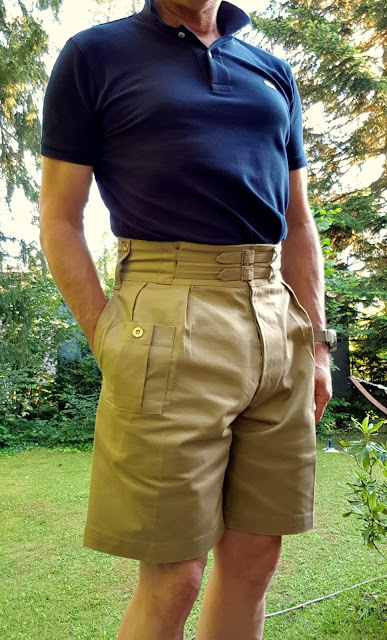 As you can see from these photos even after having the leg openings tapered, they are still wider than current fashion, but I think they look great and still very traditional. 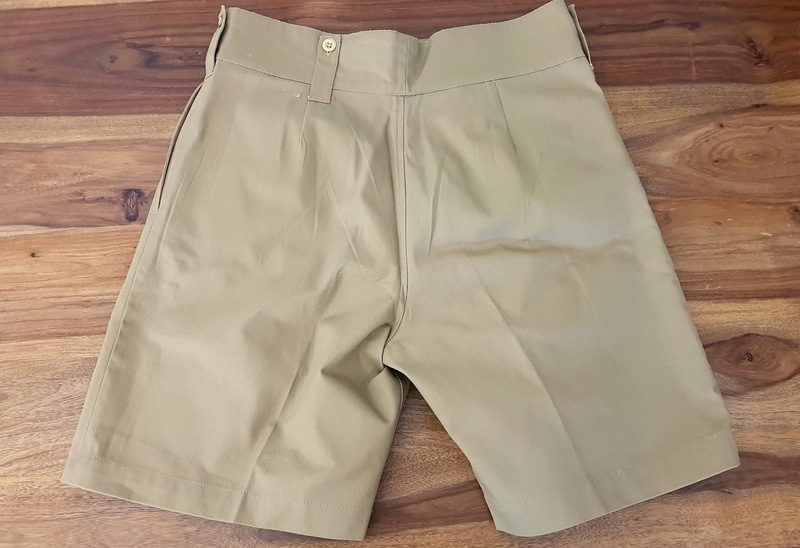 Built from heavyweight Cotton Khaki Drill, these shorts are built to last with two deep hand pockets and a small cargo pocket on the right side with very useful expansion pleat detail. 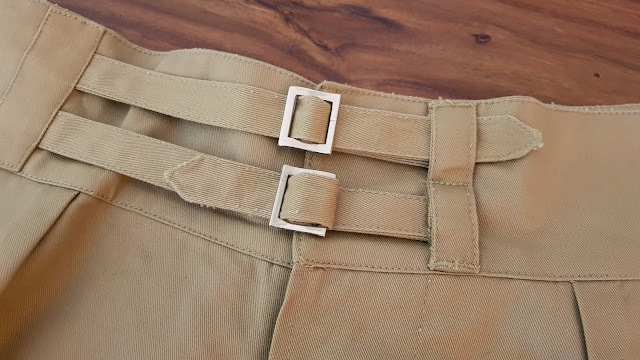 The stitch work on these shorts is serviceable, but not excellent. 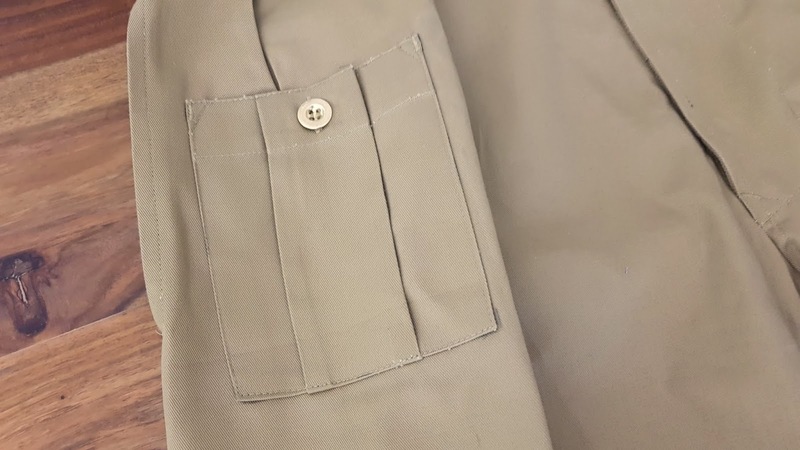 It appears as though the machine that sewed then together was having difficulty with thread tension, which you can see in the close-ups. Also the buckles while of a nice weight, don't grip the fabric wait straps well, so they've got to be doubled back to prevent the fabric from slipping and loosening in the waist. On a happy note, all the buttons are solid brass and appear to be well sewn on. 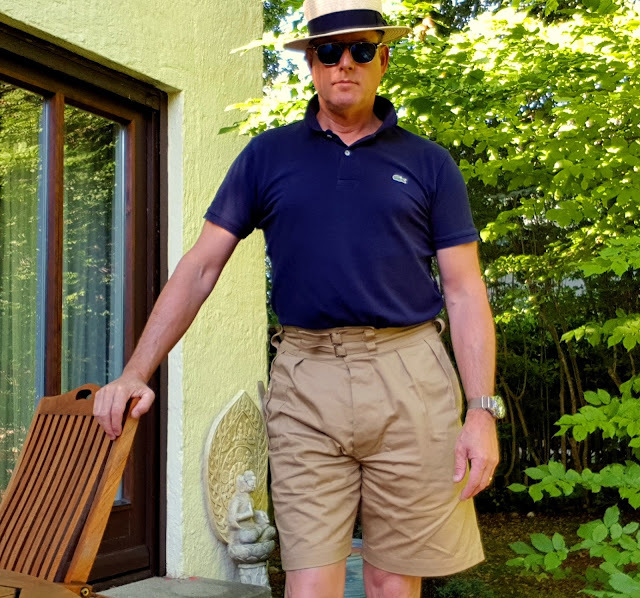 These shorts are high waisted, which is one of the primary things I was looking for and also very comfortable and with the larger leg openings, allow for plenty of ventilation on hot days, which I really like as well.